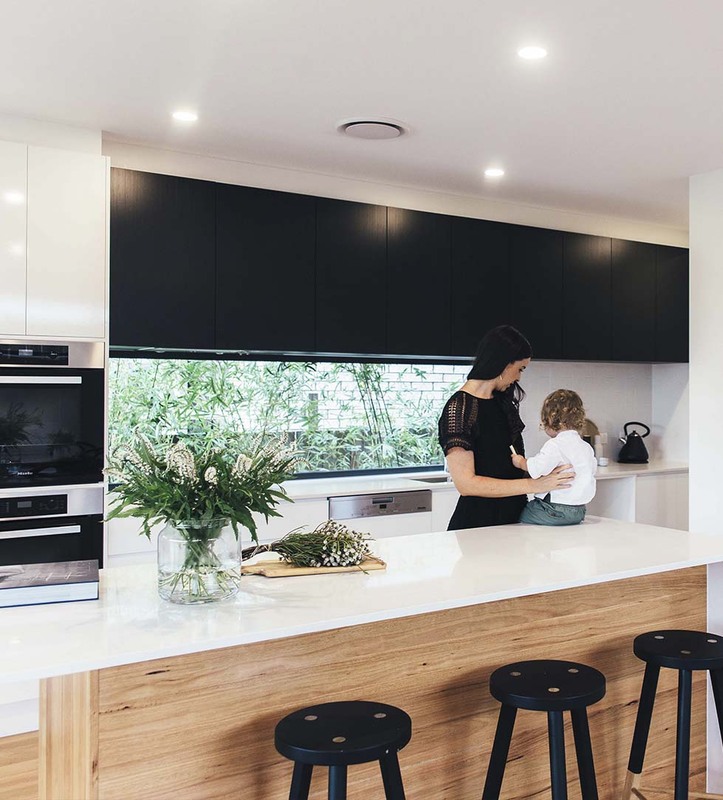 No matter how beautiful your new home, moving house can be stressful, with one in three Australians rating it the second greatest stress one can experience. Throwing a housewarming party once everything is complete helps you appreciate your new home afresh and remember all the reasons you started the journey, as well as being a great opportunity to welcome your neighbours, friends and family, and show off your new design ideas. With a unique home design, you have the perfect opportunity to plan a unique party, reflecting your sense of style and celebrating your new environment. It’s always easier to plan a party around a theme, and you can use your new home for inspiration. If your home has been designed to capitalise on its location, use that as a theme. An ocean view might prompt a beach theme: decorate the table with shells, and garnish your drinks with cocktail umbrellas. Exposure to nature is scientifically proven to reduce stress, and sharing it with your community is a great way to introduce yourself to the neighbourhood. Decide which of your new spaces you want to celebrate the most, and use that as the heart of your party: serve cocktails beside your new pool, or focus on a housewarming meal in your new dining area. With the focus on making sure the house is tidy and the food and drink is well-prepared, it’s easy to neglect details like invitations, but these are key to ensuring the smooth running of your housewarming party. An invitation may be your first impression on your neighbours, so it’s worth taking the time to make sure they’re friendly and informative: make sure you include the date and time, a date to RSVP by, and a request to be informed of any dietary requirements. Sending out formal invitations also allows you to keep track of the number of guests, so you know how many people you’ll be catering for, and whether there are special requirements to be taken into consideration. While it might be desirable to have completely finished your move before the date of your party, it’s quite possible that you’ll still have boxes hanging around or last minute touches to add. Decide which rooms you want to welcome your guests into, and move any boxes or unsorted chaos into other spaces. If there are pictures you’ve yet to hang, prioritise your party spaces, or use party decorations to hide empty walls. Make sure your home is clean and tidy, and the bathroom is well-stocked with spare toilet rolls and fresh towels. If you’re expecting children, make sure there’s a safe space for them to play, and that you’ve moved any fragile items out of harm’s way. Your home is new in the neighbourhood, and so are you: announce yourself warmly and proudly, forget the stress of moving, and remember why it was you chose your custom home in the first place.